Direct marketing differs from other types of advertising in that its goal is normally to drive clearly defined results. The most brilliant headline and most beautiful design are worthless if the response fails to live up to the goal. That’s a difficult concept for many creative services professionals, but it’s one I’ve always understood. I enjoy the challenge of writing direct marketing copy because it provides clear results. Whether your goal is to generate leads, create sales, or something else, I’ll draw upon my nearly three decades of experience to convey messages that are effective at creating the right response. 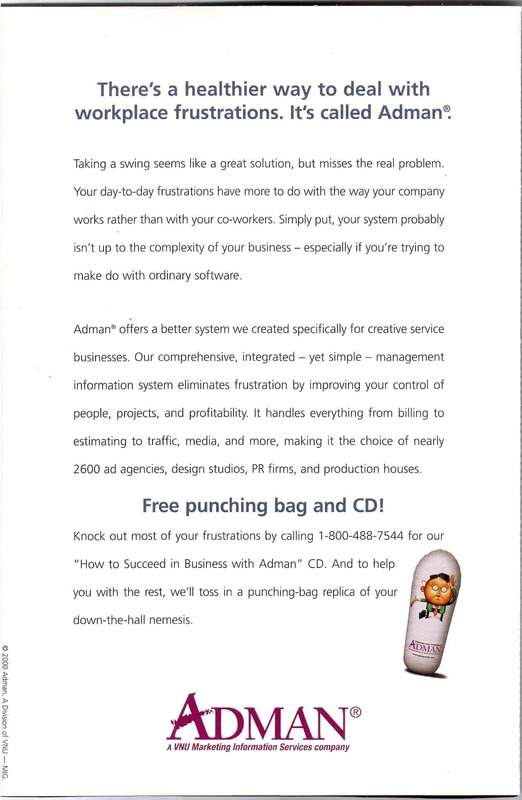 Description: Self-mailer focused on conflict with ad agencies and using punching bag premium. Excerpt: Taking a swing seems like a great solution, but misses the real problem. Your day-to-day frustrations have more to do with the way your company works rather than with your co-workers. Simply put, your system probably isn’t up to the complexity of your business – especially if you’re trying to make do with ordinary software. Objective: Promote maternity services to expectant mothers. Description: Direct mail portion of multimedia campaign. 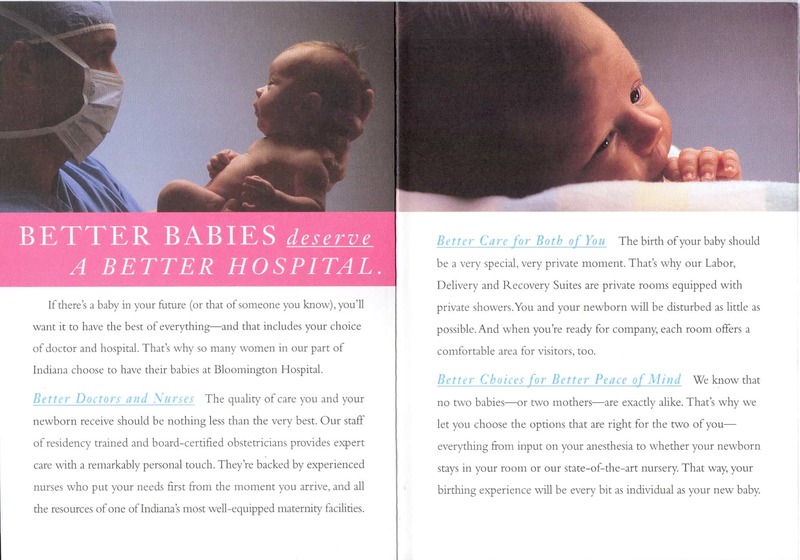 Excerpt: The birth of your baby should be a very special, very private moment. That’s why our Labor, Delivery and Recovery Suites are private rooms equipped with private showers. You and your newborn will be disturbed as little as possible. And when you’re ready for company, each room offers a comfortable area for visitors, too. Objective: Build attendance at grand opening event. Description: Doorhanger (cross-promotion with local McDonald’s restaurant). 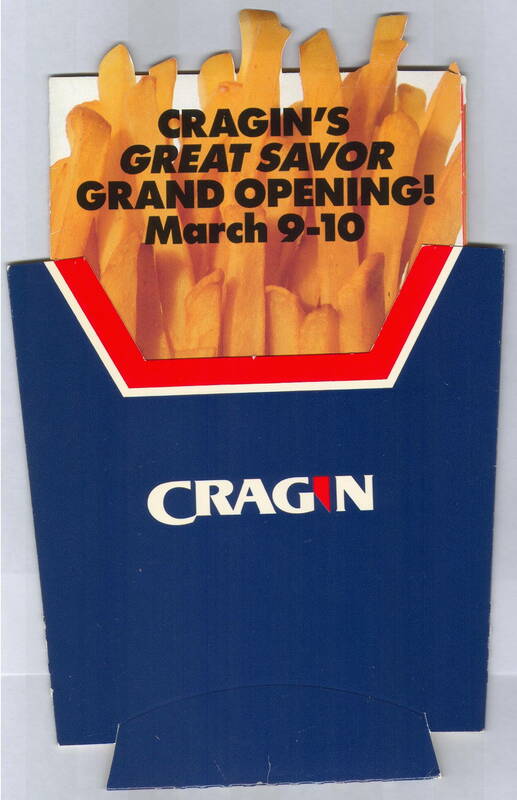 Excerpt: Just bring this card to Cragin anytime between Friday, March 9 and Friday, April 20 – and we’ll reveal the prize you’ve won! It could be that trip to Disney World, a TV, or one of our other thousands of great prizes! Objective: Differentiate from competitors and drive traffic. 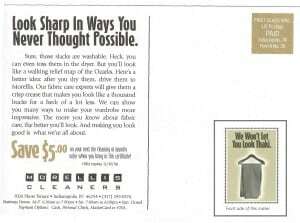 Description: Direct mail postcard series. Excerpt: Sure, those slacks are washable. Heck, you can even toss them in the dryer. But you’ll look like a walking relief map of the Ozarks. Here’s a better idea: after you dry them, drive them to Morellis. 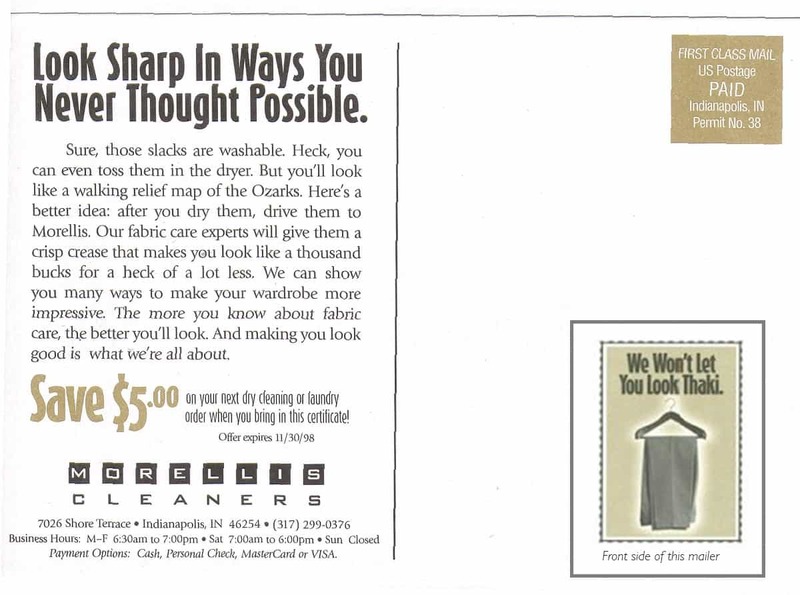 Our fabric care experts will give them a crisp crease that makes you feel like a thousand bucks for a heck of a lot less. Objective: Promote and explain spiral CT scanner to primary-care physicians, specialists. Excerpt: MRI’s new subsecond spiral CT scanner provides superior quality in substantially less time. Faster scans mean your patients will be more comfortable. Interfacing with the independent physician console permits three-dimensional multiplanar manipulation. Objective: Demonstrate size of company to facility managers. Excerpt: As Indiana’s leading gas marketer, we supply more Hoosier homes and businesses with natural gas than any other energy provider. 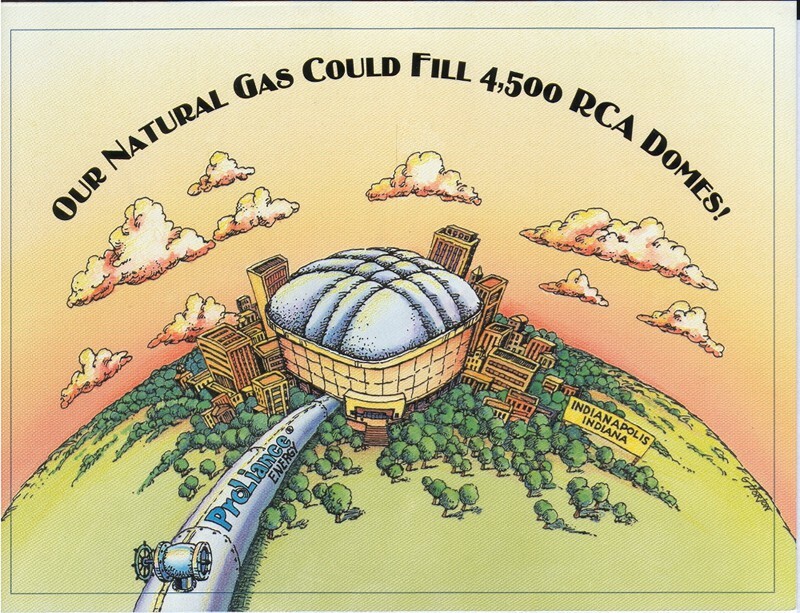 In fact, we handle nearly 225 billion cubic feet of gas for our customers each year – enough to fill the RCA Dome in Indianapolis about 4,500 times!